Discussion in 'iPhone and iPad Games' started by Boardumb, Dec 21, 2016. OMG!!! Is this for real? And is there a catch? Instabuy. And Walking Dead S3 is also out, at least in Germany. This week gets better and better! For people who're wondering what the IAP's are: it's the expansions packs. Totally fair imo. Could I make a request for some impressions on the controls? Would love that. Controls are excellent so far. It's really manageable, even on my iPhone SE with the small screen. 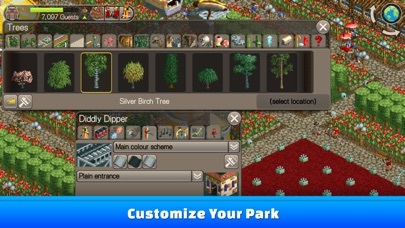 My only complaint is when deleting trees to make room, you need to go into scenery and select a delete key, you can't just tap the tree. If you are familiar with the series and played the originals, you should feel right at home. 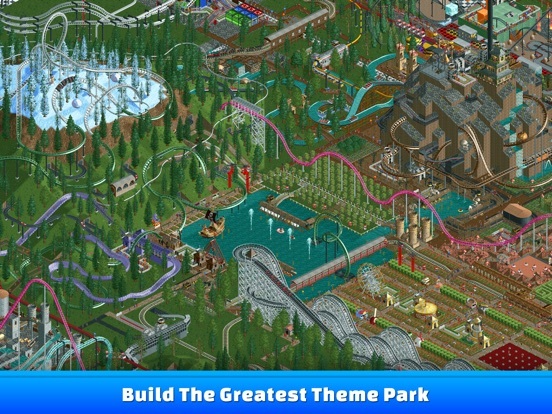 I still need to play more RCT3, but I think I'll be picking this up soon as well. Insta buy. So sweet. Hopefully torch light mobile hits tonight also. This is amazing! It plays exactly as I remember it and I can't believe how fantastic the controls are. It doesn't show up on my App Store and in the app I can click it but it just has me sign-in to purchase, no actual price. This is what I want from mobile gaming, and in spite of the freemium tide, we seem to be getting a steady trickle of classic premium titles. Now, let's hope they make money. Edit: $2 per expansion. It looks like Chris Sawyer retained the rights to this game (he's listed in the copyright on the title page) which may explain why it's not ruined by microtransactions. For someone that's never played this series at all. How does this compare to RC3? And what is the definitive version? Thank you - I was wondering the same thing. 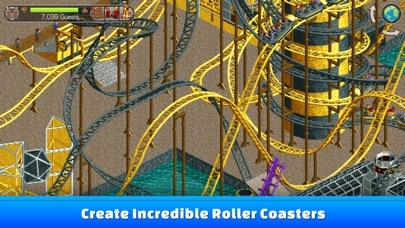 I haven't played any of the RCT's in... years. 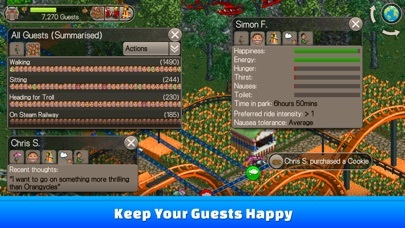 RCT3 sits on my iPad begging to be played. Just spent $5.99 on the base game. Cannot find the IAP option for expansions so it may lead into that or I just flat out missed it. The scenarios are categorized into colors from left to right probably based on difficulty. Real estate makes it kind of small on a iphone 6s+ but in Dynamite Dunes, you have access to what I believe are RCT 2 track styles (that or you do and they forgot to limit the research to just RC1 tracks. I believe the $5.99 base includes the expansions for the first game as well as the base for second. For buying handymen/mechanics, you have to put on the ground then setup patrols. 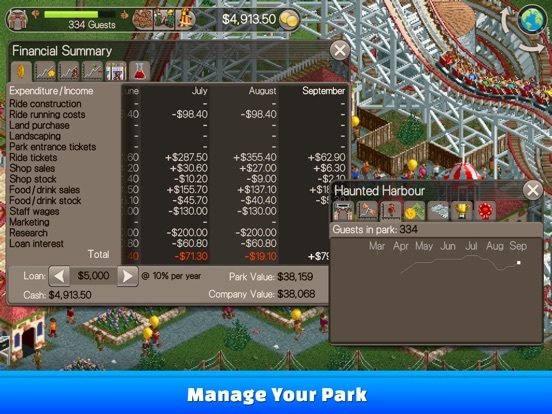 Third time I bought RCT 1 and expansions and I believe the second for RCT2 as that is included. Missed it. Not listed is a scenario editor for the price of the game. 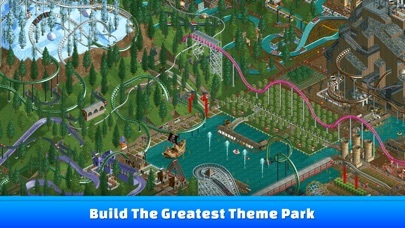 Allows for importing most saved parks and scenarios made with RCT2 on PC. 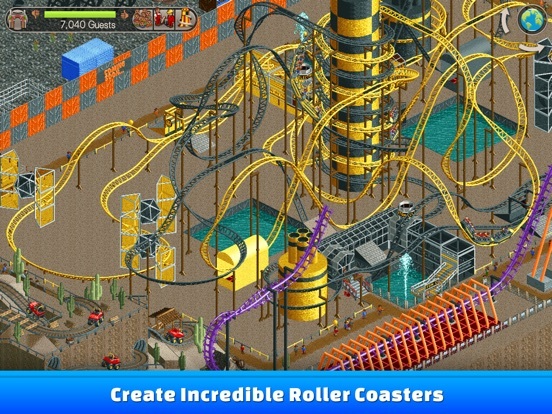 I haven't played this version, but I have played RCT 1 & 2. They're a bit different from 3. 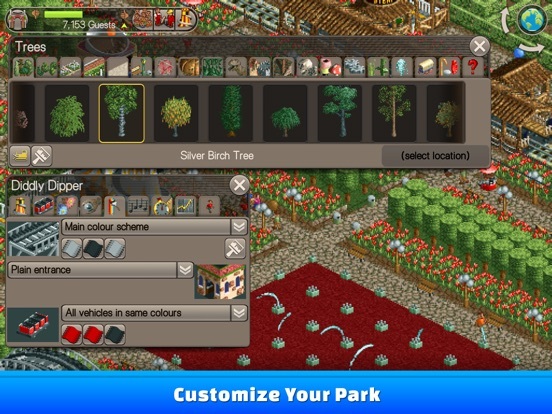 For starters the graphics are pre-rendered at isometric angles, though you can 'rotate' the view to see all 4 angles of your park. 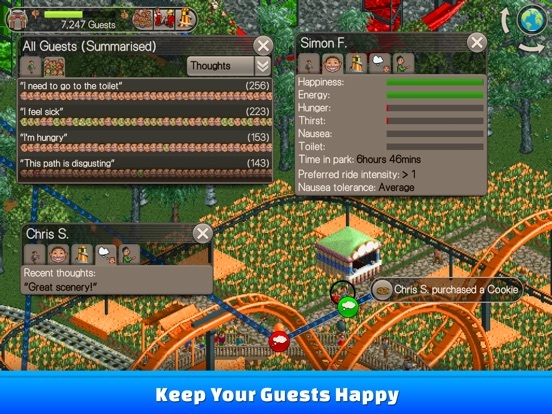 There is no option to "ride" the rides, like on 3. Creating coasters is a slightly more difficult due to pre-set viewing angles. 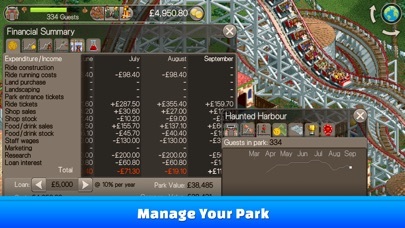 Otherwise the gameplay itself is pretty much the same: scenarios or sandbox park that has you building rides, placing shops and stalls, creating paths, hiring staff, etc. if you're more into the gameplay itself then you'll probably still enjoy it. It just doesn't have all the fancy bells and whistles that 3 has. Hope this helps somewhat!